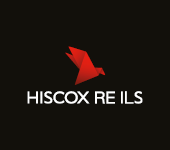 The first Pacific hurricane of the year to head towards the Mexican coastline will have caught the eye of investors in the MultiCat Mexico 2009 Ltd. catastrophe bond. Hurricane Bud is heading towards the Mexican coastline, aiming very close to one of the MultiCat cat bond trigger zones. Currently hurricane Bud has 90mph winds but is forecast to strengthen over the remainder of Thursday and into Friday before the forecast should see it make a turn towards the north and northwest. Hurricane Bud is currently heading towards the coastal region of Mexico where the Class C notes of the MultiCat Mexico cat bond provide cover. The forecast for Bud’s future track and strength suggests to us that it will not be a risk, but it is worth investors keeping an eye on it and we suspect there may be some secondary market activity on the bonds. You can see hurricane Bud’s current location and the forecast track, including the predicted turn away from land below. 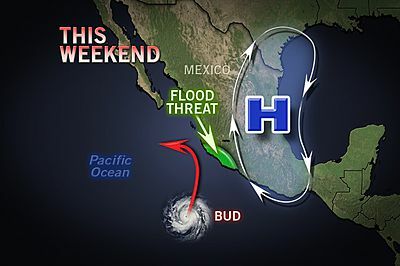 Forecasters are saying that an area of high pressure over Mexico will push Bud away from the coast, however intense rainfall is expected and flooding possible. The MultiCat Mexico catastrophe bond should not be at risk as long as hurricane Bud is steered away from the coastline, a hurricane needs to make landfall in one of the trigger zones to qualify as an event under the terms of the cat bond. For Bud to impact MultiCat Mexico it would also need to strengthen considerably more (as well as make landfall) as a hurricane needs to have a minimum central pressure of 944mb or below to qualify. Currently, as a category 1 hurricane with sustained winds of 90mph, hurricane Bud only has a minimum central pressure of 978mb at the last report. The MultiCat Mexico cat bond trigger zones can be seen below. It’s the Class C zone which is in the path of hurricane Bud at the moment. While hurricane Bud is unlikely to be any threat to the MultiCat Mexico cat bond, we will update you should it strengthen considerably and its forecast path change to include a landfall, it should serve as a reminder to cat bond investors that it’s not just the Atlantic that needs watching during hurricane season. Update: For the latest on hurricane Bud read our new article here.